There's a brand-new bakery in town. 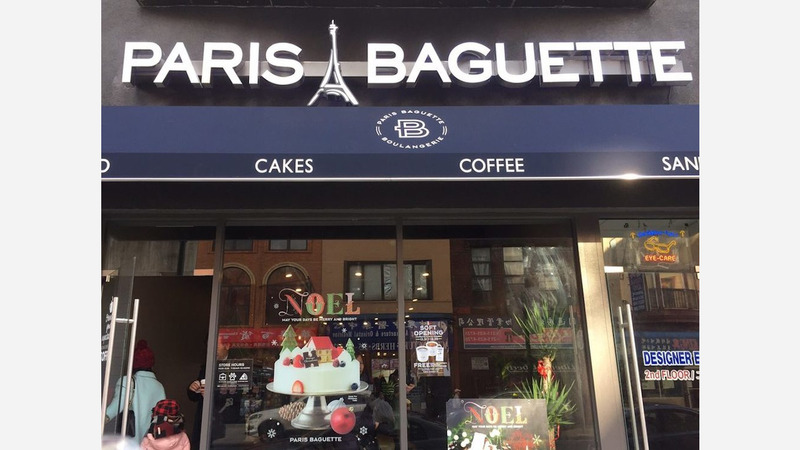 Called Paris Baguette, the fresh arrival is located at 923 Arch St. in Chinatown. Despite its name, Paris Baguette hails from Korea, with more than 3,000 locations worldwide. Specializing in French-inspired cakes, pastries, sandwiches and signature coffee drinks, the global chain first began opening U.S. franchise stores in 2016. For breads and pastries, expect to see offerings like mozzarella onion bread, cinnamon sugar coffee bun, soft sweet potato cake, and chocolate cream bread. On the cakes and desserts menu, look for items like strawberry cheese pudding cake, green tea chiffon, and ganache cream cake. If you're looking for something a little more substantial for lunch, check out the grab-and-go salad and sandwich options like pesto chicken pasta salad, egg and cheese croissant served with a side of fresh fruit, and Thai noodle salad. The new bakery has gotten good reviews thus far, with a four-star rating out of 19 reviews on Yelp. Jada G., who was among the first Yelpers to review the new spot on December 24th, said: "I am so excited that there is a Korean chain bakery somewhere closer than Olney! I have been craving green tea lattes and sausage bread for a really long time." Yelper Michelle D. added: "Best cakes you can get in Chinatown compared to where I've ordered before. Ordered the Strawberry cream cake: very light, fluffy, and not too sweet--which I really like. All of their cakes are beautiful, which is a plus." And Cally T. said: "SUPER convenient and accessible, no more having to travel the extra mile to hmart just for some tasty pastries at PB." Intrigued? Stop in to try it for yourself. Paris Baguette is open daily from 7am-10pm.